It’s no secret that well-crafted and reliable data protection infrastructures are essential to business competitiveness. When using Hewlett Packard Enterprise (HPE) and Veeam® together, organizations can realize benefits such as better data Availability, streamlined IT operations, reduced data loss risk and significant financial rewards. 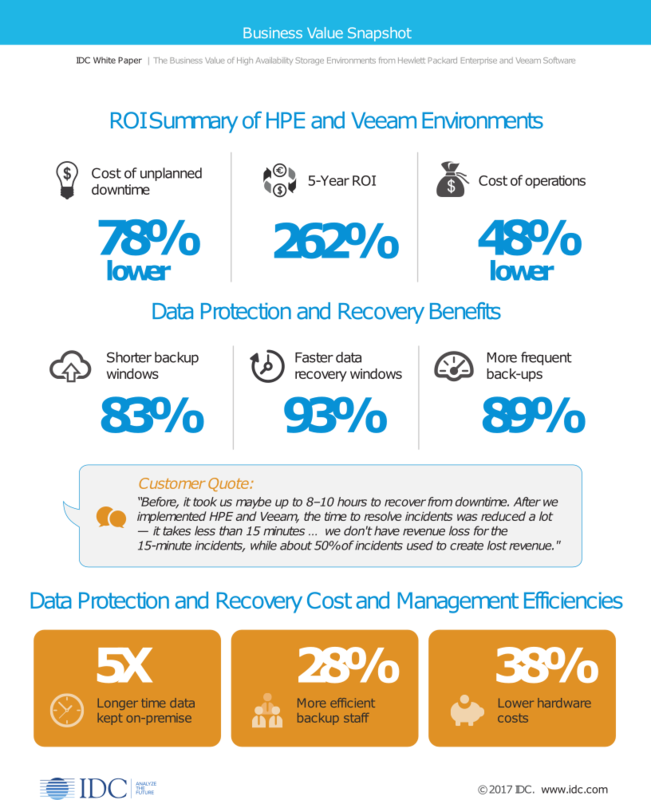 View this Business Value Snapshot based on the IDC Research Paper, “The Business Value of High Availability Storage Environments from Hewlett Packard Enterprise and Veeam Software,” to see a sampling of the benefits that joint HPE and Veeam customers have experienced.